Nobsin, Burkina Faso - 13 May 2014: Abdou, 15, poses for a portrait at the gold extraction site. The youngest ones, small enough to reach the bottom of the mine shafts, are most often the victims of the recurrent accidents. 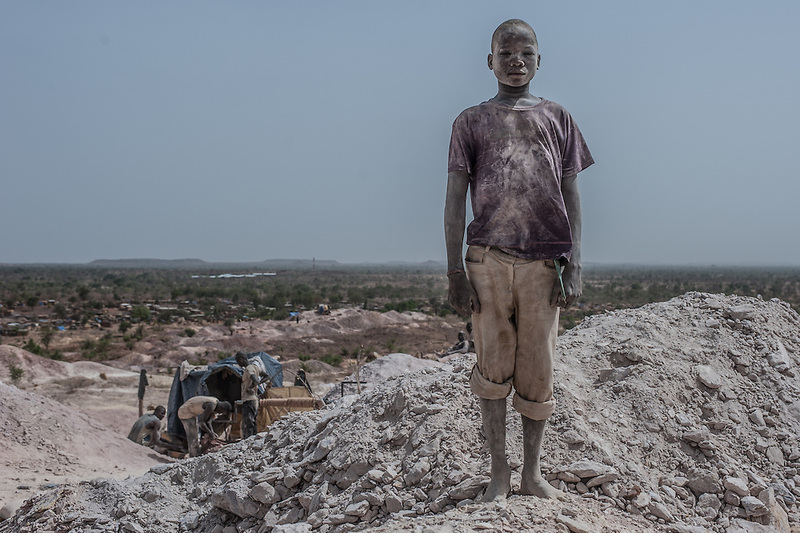 Facing repeated physical and ver- bal violence, drinking alcohol and taking heavy drugs, without any aspiration to get an education, these small boys trying their luck with gold, are the most worri- some aspect of the Burkinabè artisanal gold rush.